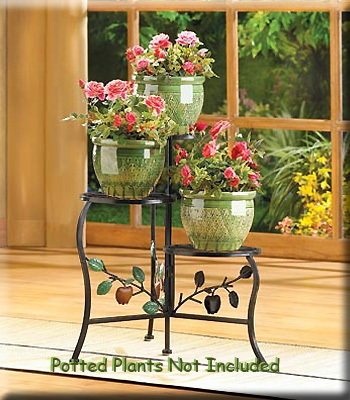 Stock# - 39857 Country Apple Plant Stand - Put your favorite plants on proud display with this country-style stand! An apple-branch motif adds charm and color to a graceful triple-tier gate design. Wrought iron. 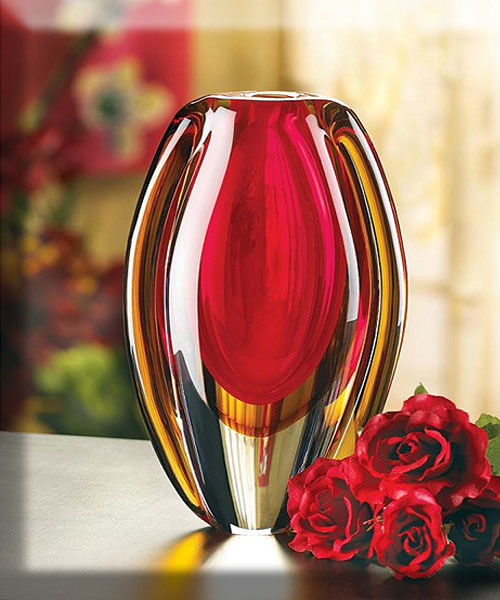 Stock# - 12117 Sunfire Glass Vase - Brilliant reds and golds glow in any light, bringing a burst of color to any room. Add your favorite blooms to this striking glass vase for a breathtakingly beautiful focus piece! Decorative purposes only. Glass. 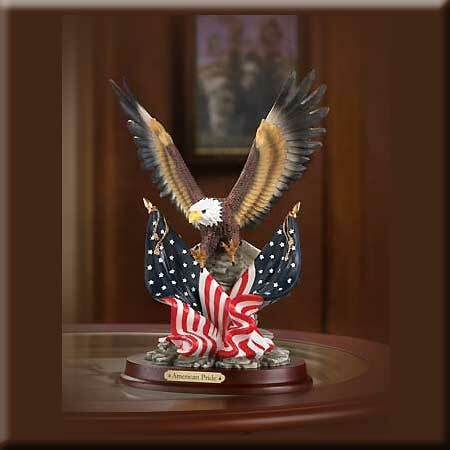 Stock# - 32419 Patriotic Eagle - The magnificent wings of the valiant Bald Eagle spread gloriously over the unfurled stars and stripes. Wood base. Alabastrite. 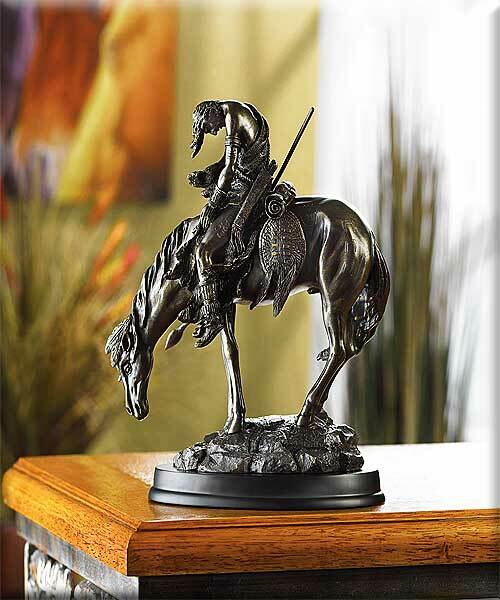 Stock# - 31044 The End of the Trail Horse Figurine - The classic statue The End of the Trail recreated in bronze-finish alabastrite and hand painted. 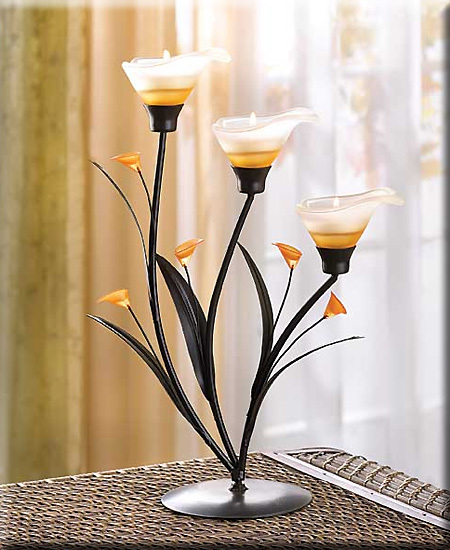 Stock# - 38947 Amber Lilies Tealight Holder - Gracious curves and warm amber glass add a strikingly sensual appeal to this three tealight candelabra. Add the amber glow of candlelight to this elegant Art Nouveau sculpture for a truly stunning display! Iron with glass and acrylic accents. Candles not included.